Terabit Trader by Richard Heffner is causing quite a bit of stir among my readers, with 3 of them claiming to lose money with the software in the past 2 days. Upon close scrutiny, I’ve concluded that Terabit Trader is a scam. If you are still considering to fund your account, make sure you read this Terabit Trader review before proceeding. In this case, it’s a good idea to keep your credit card in the wallet. Richard Heffner, the alleged CEO of Terabit Trader software claims that his software can make you $20,000 a day guaranteed, and he is giving away this ground-breaking technology for free. Sounds suspicious? If you are reading this, you are right to be skeptical. 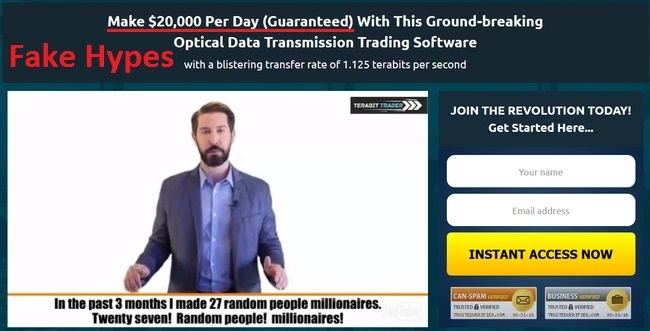 Granted, Terabit Trader is one of the most exaggerated scams I have seen, but there are many other scams out there that promise to make you a couple hundreds of bucks per day. Apparently, Terabit Trader scam exhibits all of these red flags, but these criteria applies for all the scams that you will see in the future. These promises are targeted at victims who are always chasing the shining object and hope to get rich quick, and these are exactly the people that fall for scams time and time again. Making money online takes time and effort, and it doesn’t come automated. Now that you have the correct expectation, let’s look at the evidences on why Terabit Trader is a scam. The alleged owner of Terabit Trader, Richard Heffner is actually a professional actor that was hired to promote binary trading software scams. 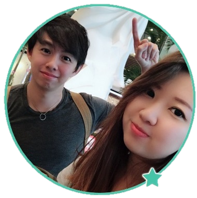 He was featured in at least 2 different scams that I have reviewed before, namely GPS Trader scam and Safeguard Trader scam. 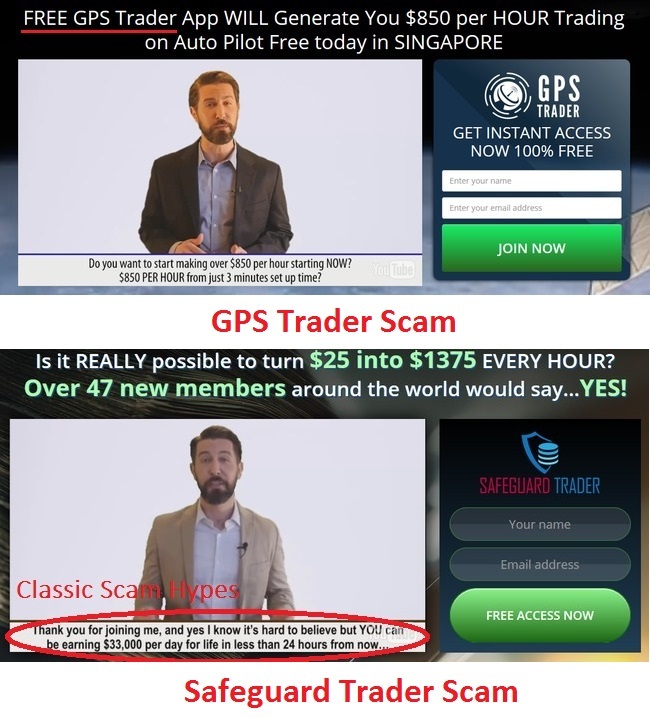 In each of these scams, he claimed that the respective softwares are the only auto-trader in the world that will make you a millionaire. However, it has been proven in every case that the victims who bought into the scams suffer heavy losses to their trading accounts. These binary auto-traders don’t work, but everyday there are new victims who buy into the dream of becoming an internet millionaire. The next time you come across a binary trading software, keep your distance because nothing good will come out of it. It’s so risky that even Forbes advises us against gambling on binary options. Below the sales video, there are a few news strips that supposedly show the positive reviews given by various financial authorities about Terabit Trader software. One of these strips shows the review by CNN, who allegedly calls the software “The best auto trader on the planet” (see screenshot above). Luckily, CNN website stores all their news articles in the online directory, and included a search function for us to quickly look for a keyword in their articles. I have conducted a quick search in CNN’s directories using the keyword “Terabit Trader”. If these keywords (case insensitive) has appeared in any articles on CNN, they will be displayed. According to the screenshot above, it’s clear that the software has never been featured in any article of CNN website. If you want to conduct your own search, click this link to go to the search results page at CNN website. Towards the end of the sales page, there are a few member testimonials that seem to be giving highly positive reviews for Terabit Trader software. I’ve had readers who fell victim to scams because they thought these member testimonials can be trusted. Little did they know that the testimonials can be easily fabricated. 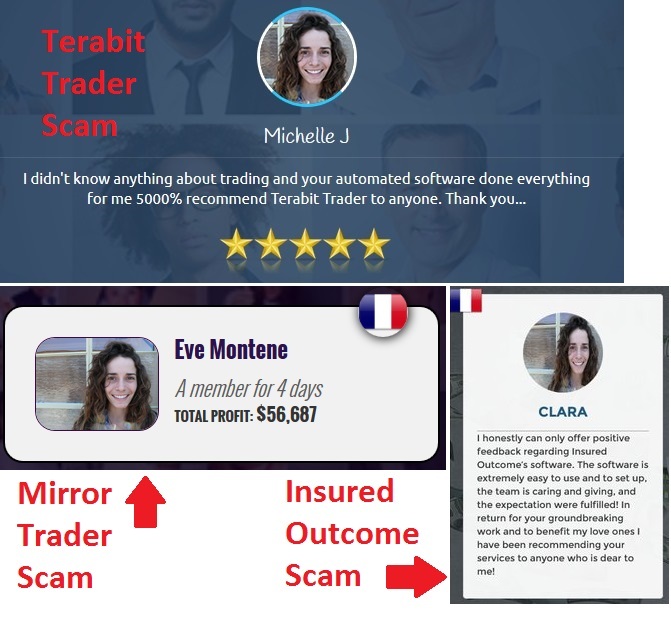 Apart from Terabit Trader, the same picture has also been used in Mirror Trader scam and Insured Outcome scam that I have reviewed before. In each of these scams, the same picture has been given different names. Obviously, the testimonials and profits attached to these profiles are completely fabricated, too. The picture was stolen somewhere from the internet and has been circulating among different scams since. All these evidences may not be immediately apparently for most uninformed internet users, but they stand out like a sore thumb for someone like me, who has reviewed more than 100 binary software scams. YES, TERABIT TRADER IS A SCAM. I strongly advise you to stay away from the scam if you don’t want to lose your hard-earned money. I knew something was wrong but couldn’t quite put my finger to it. Thanks for the revelation!